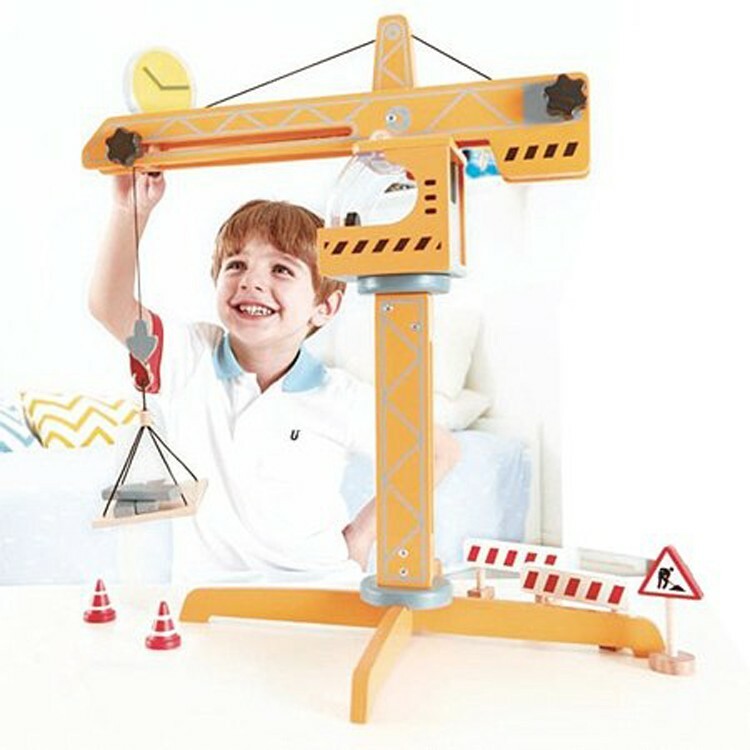 This Hape wooden toy crane is equipped with cool features to turn your kids play room into hard-working construction site. 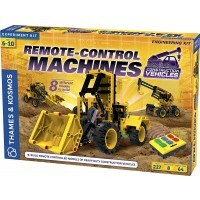 Children pretend construction site is not complete without this super cool toy crane! 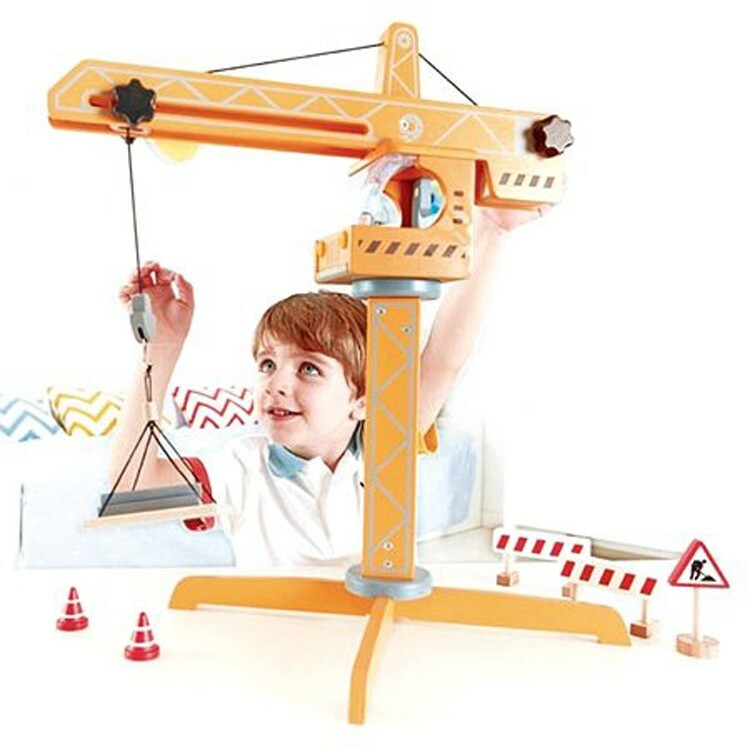 Crane Lift 10 pc Construction Wooden Playset is the latest addition to the bestselling Hape's Playscapes pretend toy line. 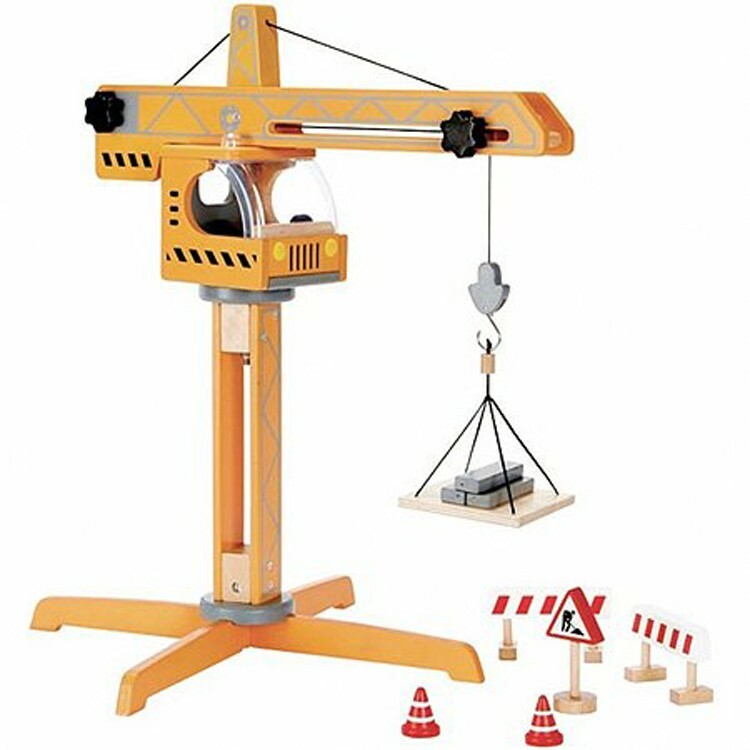 This wooden crane lift play set comes with 10 pieces including a large wooden crane machine with the stabilizing base, rotating cabin, adjustable crane arm, and play load lifting hook mechanism and loading platform. Crane Lift 10 pc Construction Wooden Playset has extra wooden play parts to turn your play room into true construction zone: working man sign, 2 safety cones, 2 construction fence pieces, 3 wooden blocks to load onto the platform. 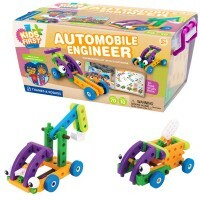 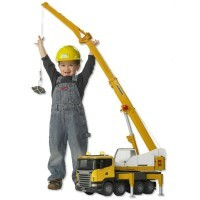 Kids will be excited to lift play loads outdoors or inside with this awesome toy crane from Educational Toys Planet! 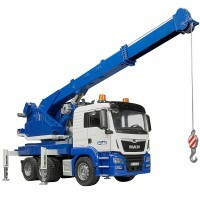 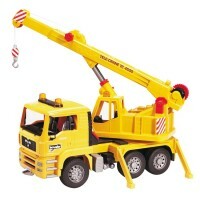 This upright toy crane measures 17.8 x 16.5 x 21.22 inches. 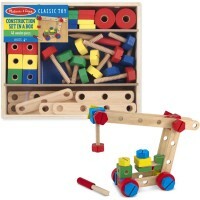 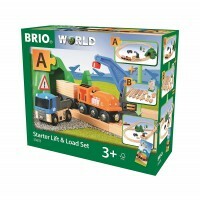 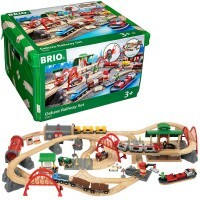 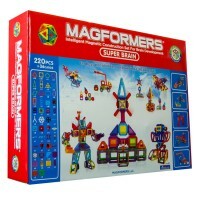 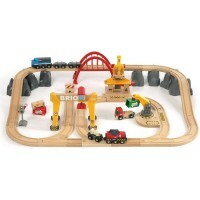 Dimensions of package 16.5" x 17.8" x 21.22"
Write your own review of Crane Lift 10 pc Construction Wooden Playset.